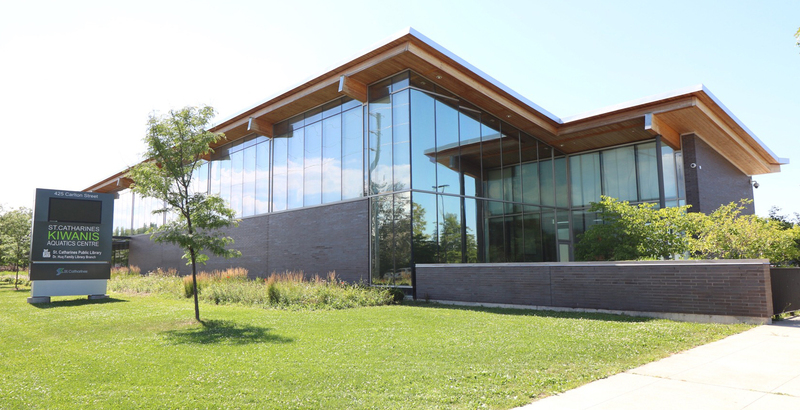 On July 3rd, 2012, the Kiwanis Aquatics Centre was opened to the public for the first time, filling a void that St. Catharines has had for ages with several community activity centres not meeting today’s high standards. The facility was built for $19.5 million dollars and it roughly covers 4,500 square meters on the corner of Carlton and Niagara. The facility was designed with ease of access in mind. Unlike the pools of old, Westpark for example, The Kiwanis Aquatics Centre is a fully accessible facility giving those with handicaps or disabilities the same opportunity as any other citizens to enjoy what the pool has to offer. Furthermore, the facility offers programs for everyone including those with disabilities, such as the therapeutic aquatics class, which is a relaxing program where the water temperature stays at 90 degrees. The facility has a large lobby area for community members to gather and spend time together outside of the Aquatics Centre’s two pools, one being the leisure pool and the other being the lane pool – which is sometimes used for competitive swim meets as well. In meetings with the community the city discovered it was very important for parents to be able to sit closely to their young children as they enjoyed their fun in the pool. With that information in mind, the facility accommodated with a parent viewing area on the pool deck. To further encourage community engagement, the Aquatics Centre is also home to a program room that is available to rent for any number of events from bridal or baby showers to local children’s programming events. The city also uses this space for it’s own events such as yoga or pilates for members of the community to engage in and enjoy. The centre is open year-round so even though you may be outside in the winter braving the cold and wishing you could take a warm swim, the Kiwanis Aquatics centre is open for your needs all year. The Kiwanis Club of St. Catharines hopes that the Aquatics Centre remains a valuable community centerpiece for years to come, with people of all ages coming to enjoy the pool with family and friends, while building new lasting relationships within their communities.